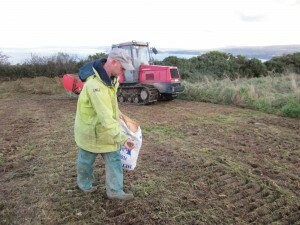 This depends on the size of your project, and whether you’re sowing on to cultivated ground or into an existing sward. For small projects up to a couple of acres, broadcasting by hand is simple and effective, although you might get a stiff back from stooping low to make sure you get an even scatter without too much wind-drift. If sowing into an existing sward, make sure that this has at least been cut low recently, ideally ‘scalping’ the ground to expose bare soil in places. Some people recommend power harrowing, or really churning the ground up with animals. Because of the range of different seed sizes and weights, mechanical broadcasting devices may not be as suitable, but the addition of an inert carrier (sand) will make the use of a fertiliser spinner possible. 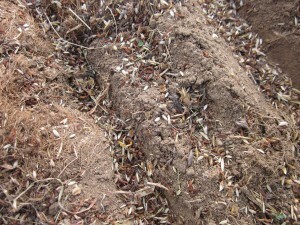 Sowing should be between August and early November. August is naturally when the seed would be dropping and, in our part of the world at least, there isn’t too much risk of early germination and subsequent droughting. However, it’s a good idea to sow seed just before heavy rain, as this will wash the seed into the soil surface providing it’s not too compacted. The trampling action of animals or people will also help this. It’s a good idea to get the seed worked into the soil as soon as possible after sowing, as left on the surface the smaller seeds could be prone to wind-blow and the larger ones to hungry birds. Animals can be left on late during this first winter, giving the exisiting vegetation a bit of a battering. Many people’s thoughts turn to sowing in spring, but many of the key meadow species – particularly yellow rattle – need to be in the soil through the winter in order to germinate. If we have left over seed in spring, it’s available at a heavily discounted price for this reason. Grass species and clovers may still germinate to get a basic green cover established, but this should then be added to again with fresh seed in the autumn. 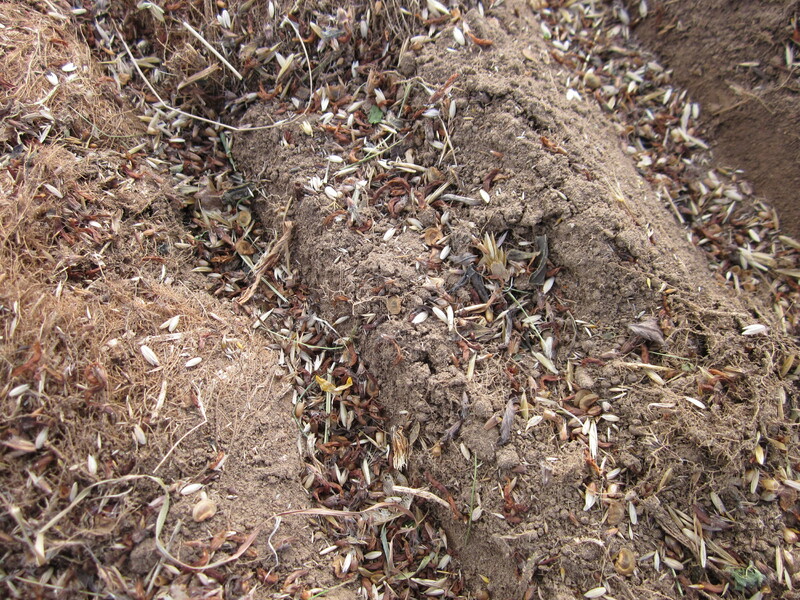 More information on using brush-harvested seed is available here.